I do a lot of my SQL Server sandbox stuff on macOS using a Docker image of SQL Server 2017 with VS Code and the mssql plugin as my editor. With the new mssql-scripter tool I can now export SQL scripts of my database objects and data directly from the VS Code terminal. 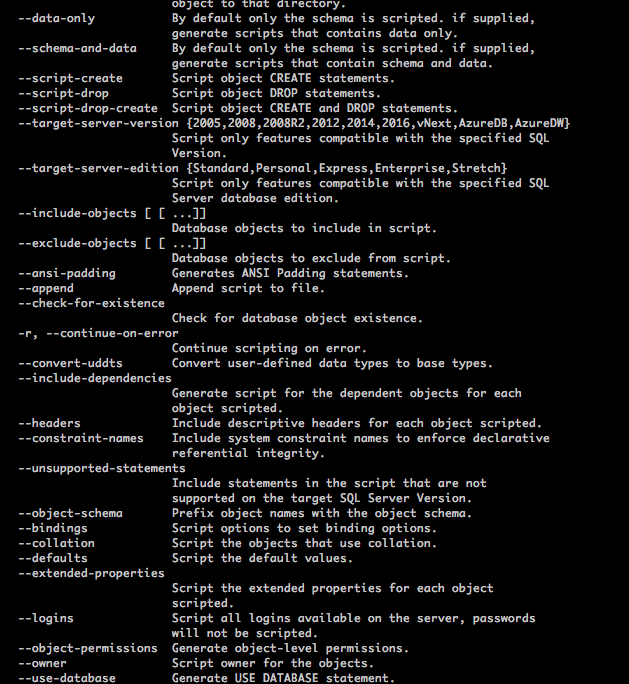 This tool supports a great deal of arguments for specifying what you want to script from the database. For example we can Script Schema only, data only, Schema and Data then we can go down to exactly what types of objects to script for example Statistics, logins etc….